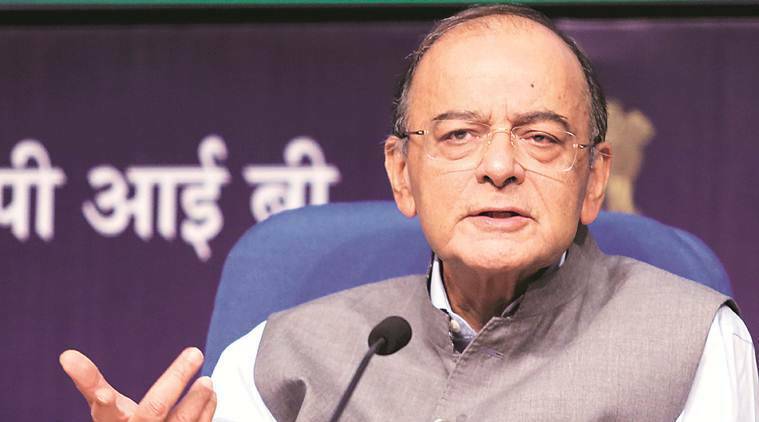 Jaitley said that the impact of Insolvency and Bankruptcy Code (IBC) is clearly visible as NPAs have started declining due to improvement in recoveries through resolution, as well as promoters clearing their dues for the fear of losing their companies after being taken to the IBC. Public sector banks (PSBs) expect recovery of Rs 1.80 lakh crore out of their non-performing assets (NPAs) in the current financial year, more than double of Rs 74,562 crore recovered in 2017-18, even as they pitched for relaxation in the RBI’s Prompt Corrective Action (PCA) guidelines and upfront government capital infusion in an annual performance review meeting with Finance Minister Arun Jaitley on Tuesday. Apart from emphasis on cash recoveries, faster credit delivery to MSMEs (micro small and medium enterprises) through online sanctioning process, covering of 8,808 uncovered villages through banking touch points, and creation of a Financial Inclusion Index were among the issues discussed in the day-long meeting on Tuesday. Briefing reporters after the meeting, Jaitley said that the impact of Insolvency and Bankruptcy Code (IBC) is clearly visible as NPAs have started declining due to improvement in recoveries through resolution, as well as promoters clearing their dues for the fear of losing their companies after being taken to the IBC. Jaitley said the banking activity is bound to pick up as the economy is “passing through a phase of a good growth” and consumption has moved up. He asked banks to take effective action in cases of fraud and wilful loan defaults, even as he was confident of the economy achieving sustained growth rate of 8 per cent. Banks suggested to the government that the rules under the RBI’s PCA framework relating to provisions and other restrictions should be relaxed. Since the banks have already made more than 60 per cent provisions in most doubtful accounts, they asked for relaxation in PCA rules so that they can lend more and increase their income in order to come out of the PCA. Banks are put under the PCA when they breach key regulatory requirements relating to capital adequacy ratio, return on assets and amount of NPAs. PCA banks are restricted from expanding number of branches, staff recruitment and from increasing the size of their loan book. A total of eleven state-owned banks are currently under the PCA. “The suggestion which came from the bankers was that the way the (PCA) norms are, they have to grow, (and) unless their income increases, there is difficulty in coming out of the PCAs. So there are different thresholds in the PCA norms, they have requested for the provisioning norms (to be relaxed so that) … lending starts,” Department of Financial Services Secretary Rajeev Kumar said. Banks have also suggested the government to advance its capital infusion schedule, State Bank of India Chairman Rajnish Kumar said. To enable better banking access to people, the government launched an Android-based Jan Dhan Darshak app, which helps people across the country find out their nearest bank branch, ATM, bank mitra and post office. For faster delivery of credit to MSMEs, an online loan sanctioning platform — http://www.psbloansin59minutes.com — was launched. The web portal will enable in principle approval for MSME loans up to Rs 1 crore within 59 minutes from SIDBI and five public sector banks — State Bank of India, Bank of Baroda, Punjab National Bank, Vijaya and Indian Bank. Subsequent to this in principle approval, the loan will be disbursed in 7-8 working days. Meanwhile, according to a PTI report, Jaitley on Tuesday hit out at former RBI Governor Raghuram Rajan for predicting that the next banking crisis would be triggered by MSME lending. “I think for anyone to do postmortem is easier than action when it was required,” Jaitley said when asked to comment on Rajan’s view.